When looking for the perfect job, and particularly when attending a job interview, there’s a lot of pressure to perform, and this stress can often inhibit your performance. 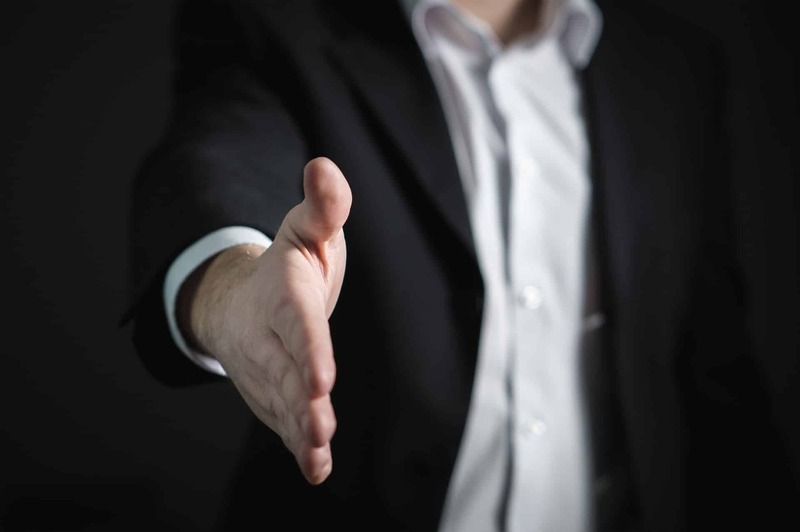 This article touches on some of the ways you can make an excellent first impression and dazzle your prospective employer at a job interview. Treat the job interview as a place to “give” rather than a place to “get”; meaning you focus much more on what you can give them, rather than what you can get in return. Treat the interviewers as a friend. If you think back to your driving test, one of the best pieces of advice driving instructors give their students is to take the heat out of the situation by viewing yourself on your driving test as a chauffeur or taxi driver… as this takes away the intensity of the situation and allows for a calmer and more relaxed approach. Treat the interview as a chance to connect and build a relationship; rather than a “you vs. me” scenario. The first thing you’ll need to do, of course, is to look for a job. There are plenty of job websites out there but the best advice, if you’re looking for something specific (e.g., nursing jobs) is to find a niche recruitment website, such as https://www.staffnurse.com/loc/cheshire/warrington, which specializes in your particular industry; or look for adverts within specialist trade magazines. Once you’ve found an advert for a job, the next step is to write an application letter, and this brief step-by-step guide will help you to make a good first impression with your initial covering letter (usually sent along with your CV). Provide your contact information at the top of the letter to make it as easy as possible for the prospective employer to get in touch. Include the employer’s information and try to make this as specific as possible, so rather than include their address and then write “to whom it may concern” or “dear sir or madam” find the name and job title of the person dealing with this application. By doing this, you are demonstrating that you have done your research and aren’t sending generic letters to bucket loads of employers – the more tailored your communication, the more likely you’ll be invited to interview.If you don’t know the name of the hiring manager, you can search the company’s website, go to LinkedIn, or even search Twitter. Similarly, you don’t need to play detective. There’s nothing wrong with phoning up the company and asking for the name of the person responsible for filling that particular job. Write an engaging and captivating first paragraph. The majority of employers scan cover letters, in a matter of seconds, to work out whether your application makes it to the “keep” pile, or is merely glanced at before being thrown out. Think of a newspaper article, start the letter with something that is going to grab their attention – and ideally, make it benefit-driven toward the company. Now that you have them engaged, it’s time to briefly summarise your strengths and qualifications; packaging them up in a way that makes your experience seem perfect for the job you are applying for. Summarise, and sign off the letter with a call to action – ideally, something that makes you seem friendly, accommodating, dedicated to this application, and open for further discussion. The truth is, applying for, and getting the job you covet will be based on how strong a connection you make with the interviewer – and how relevant / aligned your skills and experience are with the job being offered. Interviews are a competitive process, and the majority of touchpoints to make a positive impact and build a strong connection in the form of a rapport, are limited to sending in your application then having an interview. Both of which are formal and quite wooden processes that don’t allow the natural ability to have a friendly and meaningful exchange between you and your prospective employer. Arranging to meet before the interview is a great way to show that you are dedicated to this particular position. It offers a chance to connect with the employer in a more natural way than at an interview. It means you won’t feel so nervous at the interview itself and will be greeted as a familiar face (which puts you ahead of most the applicants on this basis alone). But more than anything it gives you a chance to connect with your prospective employer – and that connection is everything because, at the end of the day, people buy people; meaning people like to do business with those they feel comfortable with and have a great rapport with. Interviews can be a nerve-wracking experience. Unfortunately, a lot of the time, as a result of performance pressure, interviewees get all flustered and forget what to say – meaning they aren’t able to give a true representation of their skills and abilities. If you’ve had an experience in the past where nerves have got the better of you, then you’ll be familiar with the frustration and almost self-loathing that comes from reflecting back on the interview, thinking about how differently you should have answered certain questions. Arranging to meet a week or so before the interview is a great way to calm your nerves, as things will feel much more familiar and less intimidating. Positive visualization is a fantastic tool used by many great athletes and high achievers that condition the subconscious mind to perform well, as it rehearses over and over again a positive outcome. This is different from rehearsing what to say or worrying about things going wrong – it is simply programming your mind to expect to do well. The idea behind this is that “thoughts become things” and if you are focused on the worst case scenario you will attract it to you – yet if you are focused on the best case scenario, you will attract that instead. Most people due to fear and worry, focus on what could go wrong, and operate from a state of feeling quite down on themselves; just like an Olympic athlete visualizes finishing first and having the gold medal places around his neck, you need to visualize getting the job you desire. Not only will this help calm your nerves, but your mind will be more clear and alert yet relaxed and focused. If you are stuck in traffic, getting worked up and agitated at the prospect of not making it on time – but then, do make it on time – your mental state isn’t going to be one of balance and harmony; people will sense the stress and frustration you’ve been feeling… just like how a dog can sense fear or danger. Similarly, if you turn up late, it doesn’t send a very good first impression – it suggests you don’t value the role you are being interviewed for. Trust me, you never want to be late for a job interview. Make sure you have a good night’s sleep the night before the interview. Have your outfit prepared the night before, so that you can wake up feeling calm and relaxed, ready to dazzle the interviewers with your knowledge and character. Being calm and relaxed, yet focused and alert, is one of the most important aspects of being successful at interview – ensure you have a good night’s sleep to wake up feeling refreshed and replenished. Ensure you make regular yet relaxed eye contact, shake hands with confidence, sit in a way that makes you feel powerful and in control (i.e., sitting upright or leaning forward rather than slumped or slouched). Answer questions directly and succinctly, but don’t underestimate the powerful effect of stories – that relate to the application you are making. More than anything, see this as an opportunity to connect and build rapport. You’ve already passed the first phase of selection, which is to determine whether your skills and experience meet the criteria, so try to relax about this – don’t ram your qualifications down their throat – take this as an opportunity to build a relationship with the interviewer(s). In summary, you want to connect with the interviewer and establish a relationship, from the initial covering letter to the final interview – it’s all about building trust and rapport while positioning your skills and experience as aligned with what they are seeking; but remember, there are plenty more fish in the sea, and this isn’t the only job that could make you happy. Now go dazzle at your job interview.